Yes, it was certainly only a matter of time before we would see respectable manufacturers treading into the under $500 territory for tablets. 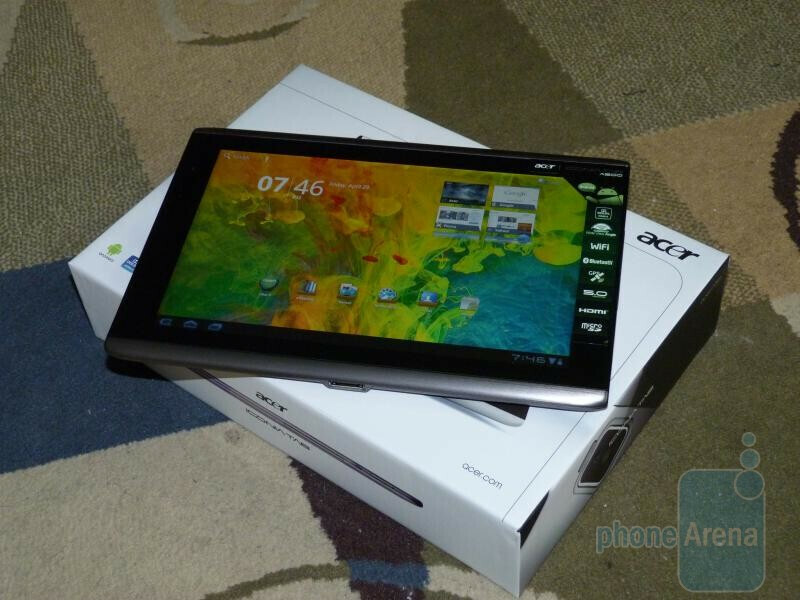 So far, we’ve seen some decent offerings, like the Motorola XOOM and T-Mobile G-Slate, that happily showcase Android 3.0 Honeycomb to the masses, but there’s still a premium price tag associated with their cost of ownership. Although their primary expertise is found in the personal computing market, Acer is just one of those companies that can branch out to other areas very quickly – and more importantly, bring along low prices. 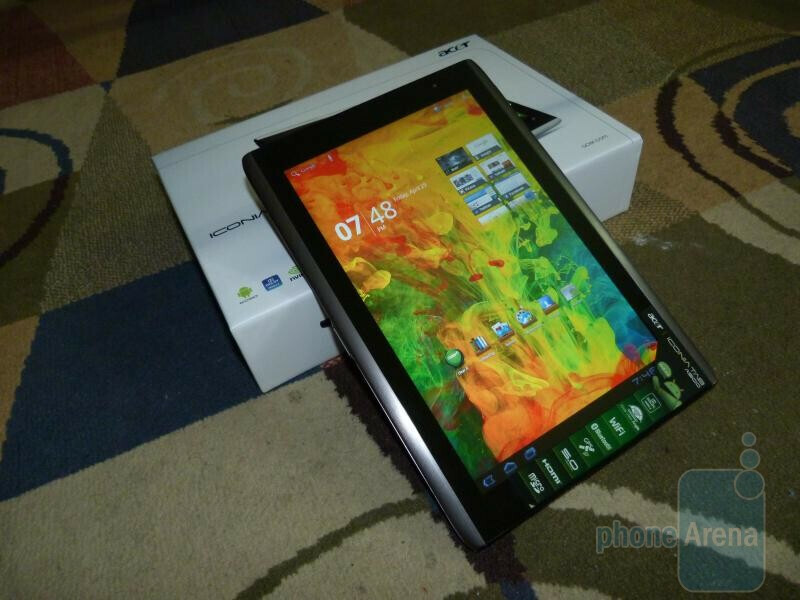 In fact, that’s where the Acer ICONIA TAB A500 comes to play as it combines some contemporary specs with all the features of Android 3.0 Honeycomb. However, instead of finding it at the over $500 price point, it’s selling right now through various retailers across the country and online for only $449.99! Without a doubt, we’re excited to check out this super affordable Android tablet, and looking straight at its packaging, it seems pretty immense considering that it shares the same display size as the XOOM. Frontal and profile photos are seen throughout the box, while inside, we’re greeted with nothing more than the usual suspect of accessories – in this case, they include the wall charger, microUSB cable, usual set of documentation, and a microfiber cleaning cloth. 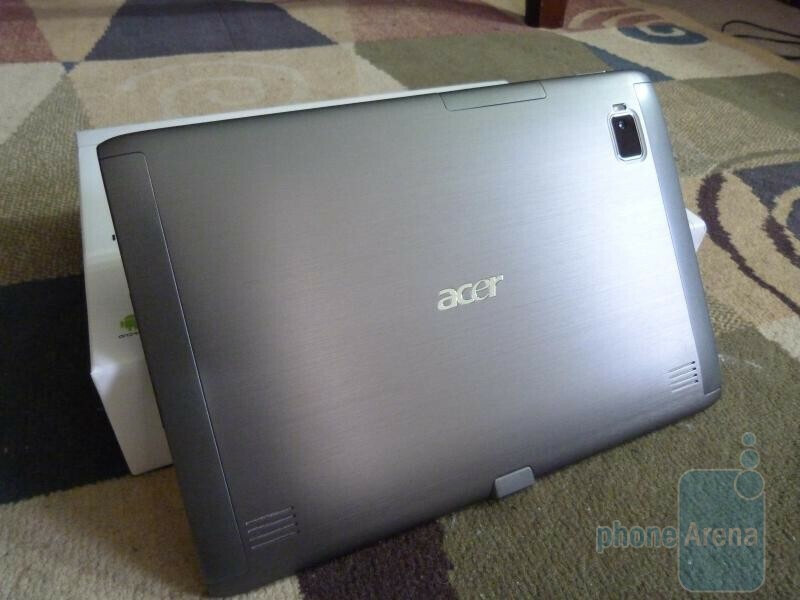 Taking the Acer ICONIA A500 out, our first impression is that it’s solidly constructed for the most part – thanks to its brushed metallic casing. 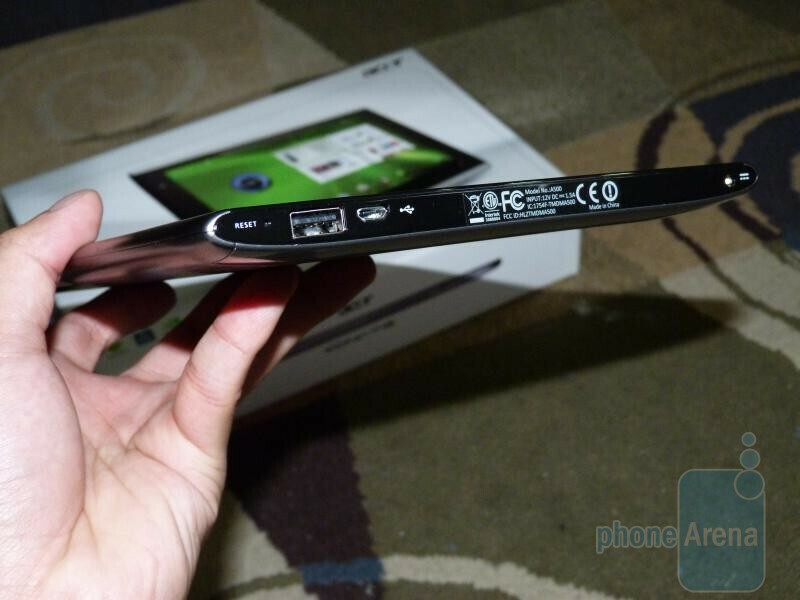 However, there’s a noticeable amount of weight with it and that it’s slightly larger than the comparable Motorola XOOM. As for specs, there’s plenty to like with this $450 tablet since it features a 1GHz dual-core NVIDIA Tegra 250 Cortex A8 processor, 1GB RAM, GeForce GPU, 10.1 WXGA TFT display with support for 262k colors, 5-megapixel auto-focus camera with LED flash, 2-megapixel front facing camera, Wi-Fi, Bluetooth, microSD card slot, and 16GB of internal storage. 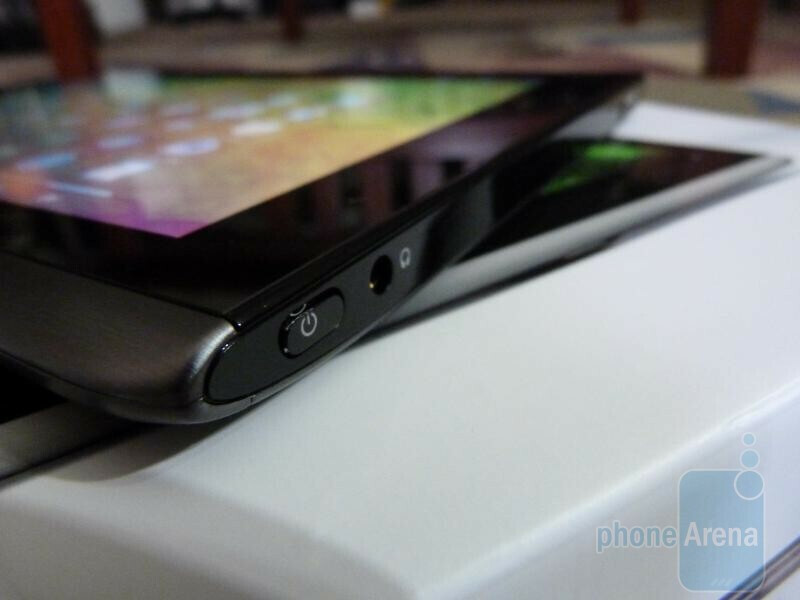 Getting our fill of Honeycomb already with the Motorola XOOM and T-Mobile G-Slate, it’ll be intriguing to see how this one stacks up to those two previous offerings. 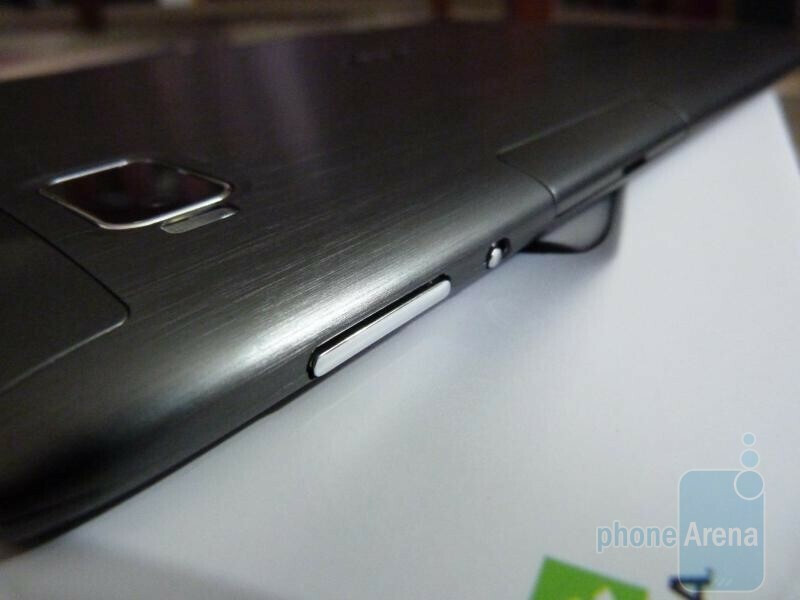 It could potentially be the affordable Android tablet that consumers have been yearning for. Expect our in-depth review soon! In the meantime though, you can check out our unboxing video below. 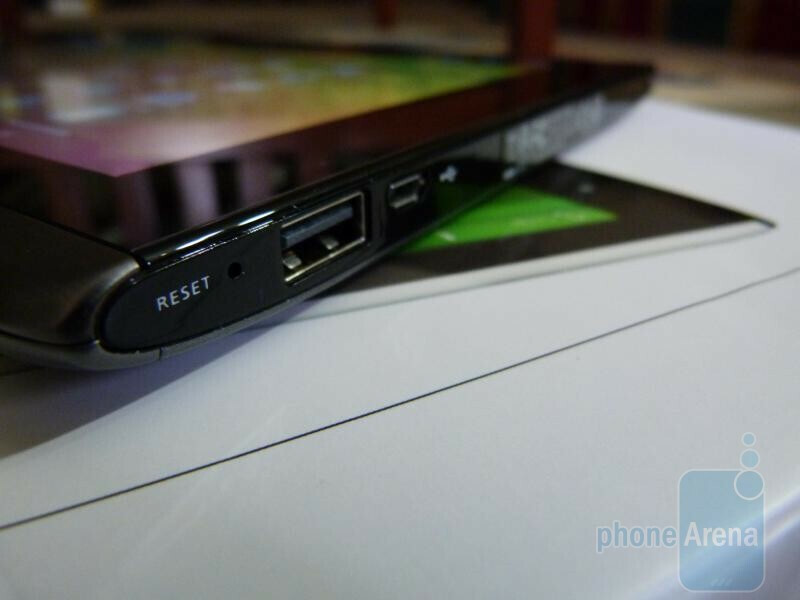 Just out of curiosity, I saw that it actually uses a separate round pin connector to charge the tablet. Can the micro-USB connector be used to charge the tablet as well? Thanks in advance to any information shared on this point. We just got a shipment of these at my store, everyone seems pretty excited about it. I got a chance to mess around with one for a while, in the short time I spent playing with the device. I instantly became a fan and would most definitely consider purchasing one. 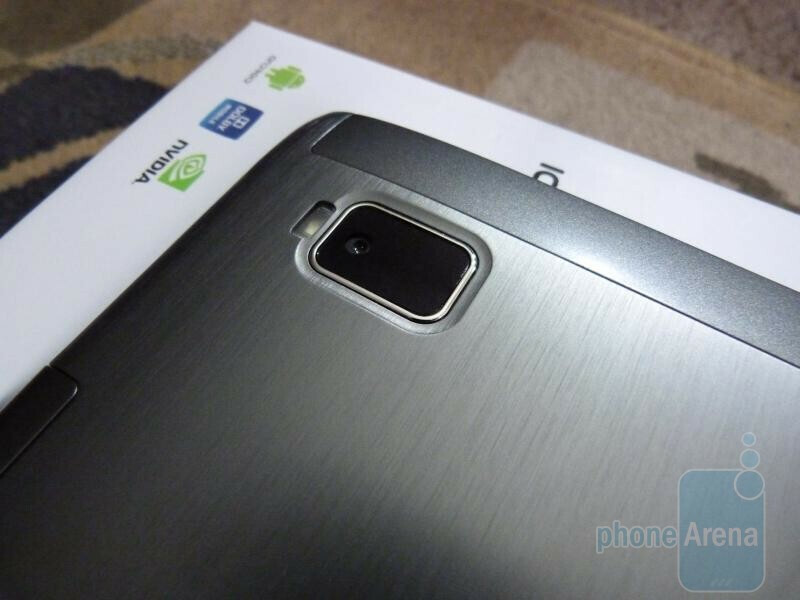 I'm still only considering it though, because we haven't gotten our Asus transformer tablet in yet. The Asus tab is the one that has really sparked my interest and I'm looking forward to testing one out as soon as we get some in.